Cottage di proprietà privata con vista favolosa sulla baia di Penobscot. A pochi passi dalla spiaggia e il nuoto. Due bedbrooms e 1 bagno completo. Tre letti full size; può ospitare comodamente 4 adulti o 2 adulti con bambini. Godetevi la vista dal ponte o veranda protetta. TV a schermo piatto, internet, schermato in coperta e cucina completa. A pochi minuti dal centro di Belfast incantevole e Belfast porto e tutto ciò che ha da offrire. Avventure acquatiche guidate, relax, golf, artisti locali tutti a pochi minuti! 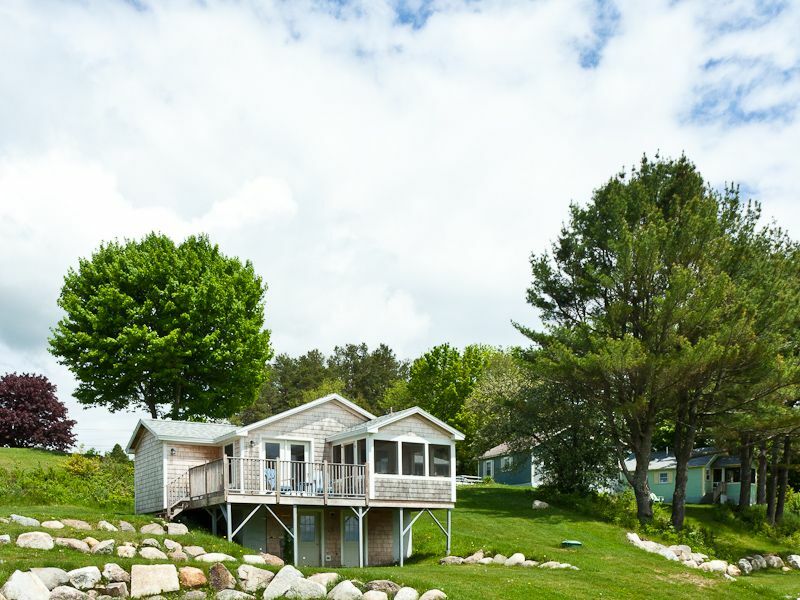 I really enjoy the cottage, but I do have a few comments/suggestions. Items we did not find there that would have been appreciated; Lobster pot, seeing as we were on the coastline, probably we'd be cooking clams or lobster. Additional wall mounted TV for others to be able to watch different programs. If the cottage is advertised as "sleeps six" then it makes sense for there to be supplies for six; towels, wash cloths, glassware, dishes. Loved the deck setup, enjoyed coffee every morning 6ish in the screened in deck watching the lobster-men head out to catch their daily catch. Another suggestion would be to comprise a book letting your guest know just what is in the area; movie theater, state parks, museums, shopping-grocery, food, etc. But I really enjoyed the two weeks there and may re-book for next year as well. Thank you very much for your feedback. I very much appreciate your pointing out the error in my listing as well; the contents indicate that the cottage is only suitable for four however the summary line indicates six - I am working to correct that. Unfortunately, we found the cottage to not be suitable for more than one television. I did have a book as you suggested, however it apparently has disappeared. Going forward however, I will provide this information to renters along with their welcome information. Again, thank you and I am very happy you enjoyed your stay. This is a small but pleasant cottage that has a lot of really fine outdoor space: a deck and also a screened porch. The bay can be seen from both. The group of cottages surrounds a greenspace with mature trees where we could also sit outside in the shade of lovely oak trees. It's a great place to spend a quiet week, but not too far from the little towns along the Maine coast, such as Rockland and Camden. The town of Belfast, which is a charming place with some good restaurants, is about 4 miles away. It was a shipping port in past times, and has some interesting points and wonderful walking paths. I would certainly stay here again. We traveled to Belfast, ME in July 2016. We were about hour and half from Acadia National park and hour from Rockland/Rockport, traveling route 1. We enjoyed 2 bedrooms with 3 full beds. The beds were comfortable. The bathroom was large with plenty of towels and warm water in shower. Kitchen had just enough space. Best part of home was screened porch and open porch that looked out to bay. I would recommend this home for anyone who wants to explore mid coast Maine. Cleaning fee applies to all stays.